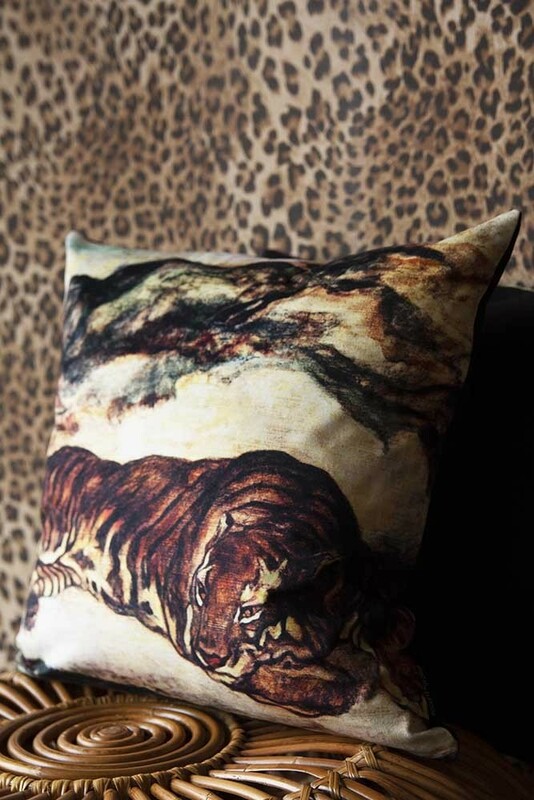 Embrace your wild side with the oh-so stylish Sleeping Tiger Velvet Cushion. 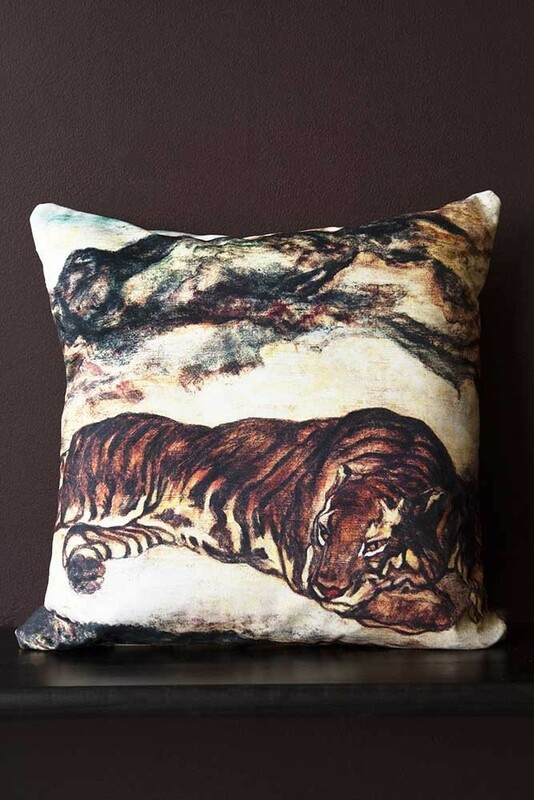 Manufactured in the UK, the Sleeping Tiger Cushion is part of our Rockett St George own-brand offering of luxury velvet cushions inspired by antique oil paintings, with each design celebrating sumptuous texture and individual character at home. The Sleeping Tiger Cushion features a lone tiger asleep against a beautiful background of inky tones and measures 45cm x 45cm. If you’re a lover of fearless interiors and eccentric style then this cushion is made for you! A symbol of incredible power and beauty, the tiger rules the forest floor and promises the same sense of commanding style in any room of your home. 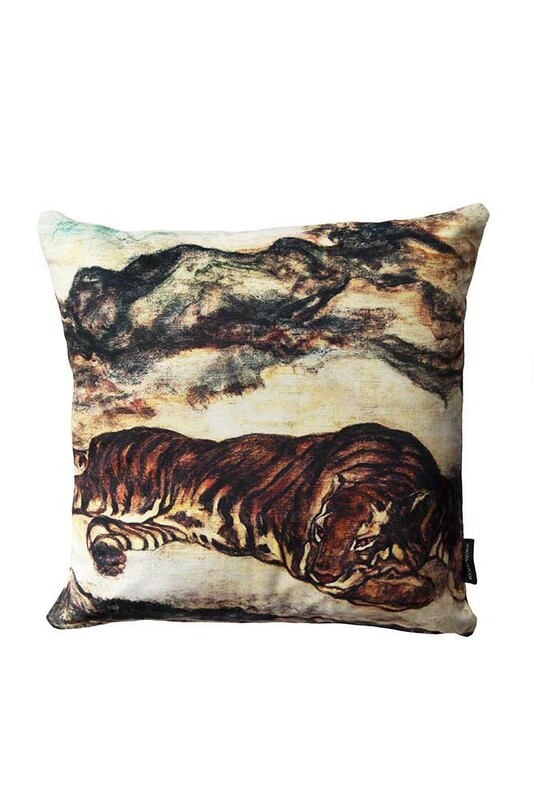 Bold and breathtakingly beautiful, the velvet cushion captures a moment of calm with the magnificent Bengal tiger sleeping peacefully on the ground against a rich background of layered inky textures. 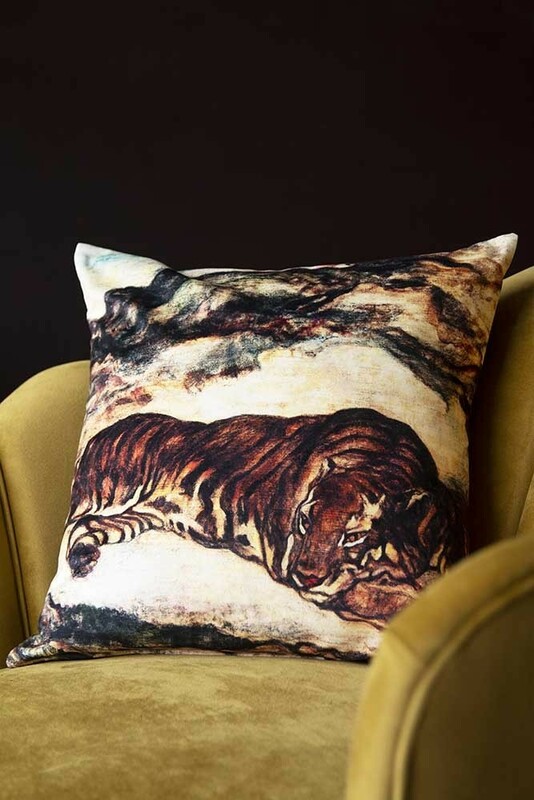 Celebrating artistic qualities on a luxurious velvet cushion cover, the Tiger Cushion is an everyday work of art that will transform your interior with statement big cat style. 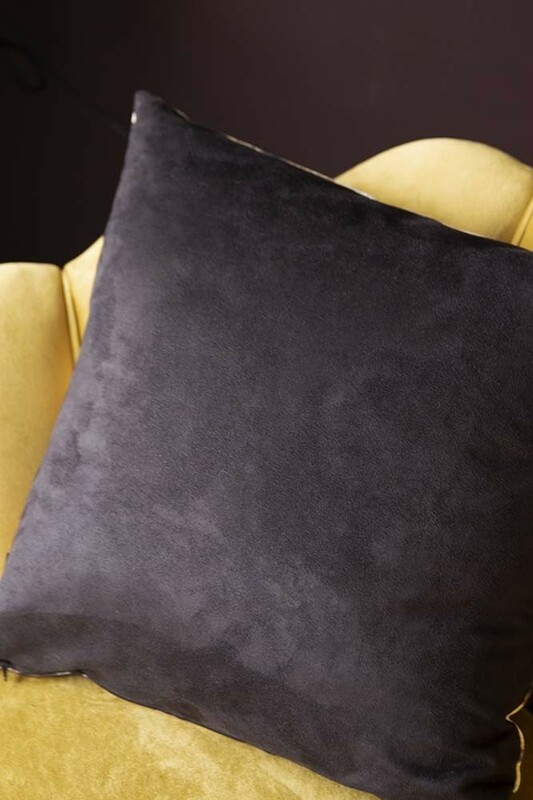 With the ability to instantly set the tone, the Sleeping Tiger Velvet Cushion brings showstopping glamour to any space. 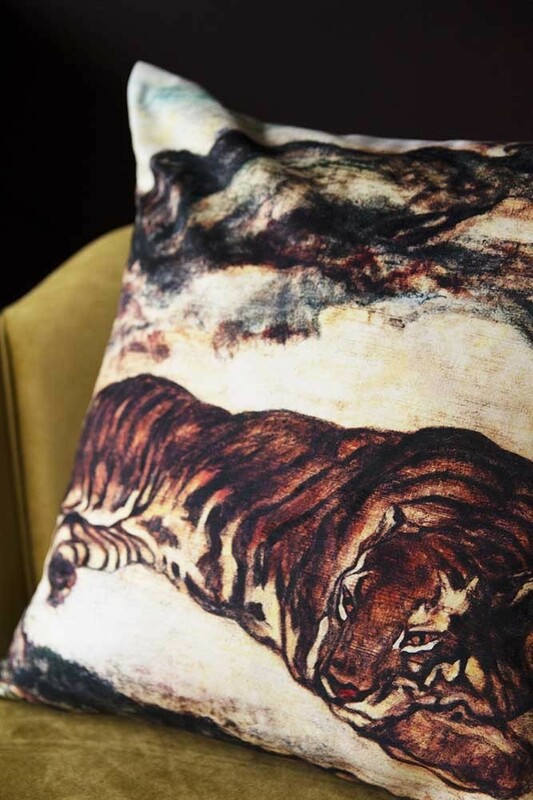 As a small piece that creates an impressive impact, the beautiful balance of light and dark tones ensures the tiger cushion is perfect for any décor, from introducing majestic character to minimal schemes and embracing the wild side of more eccentric interiors. To create your own indulgent jungle scene, pair the Sleeping Tiger Cushion with the Two Leopards cushion and throw in a few ferns for your very own escape to the tropics.